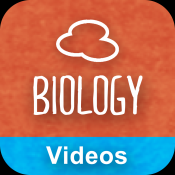 Watch hundreds of in-depth HD GCSE Biology videos delivered by real GCSE tutors. Everything is available across multiple devices, so you can get access to easy-to-follow revision videos whenever and wherever you like. GCSE Biology is a fascinating subject, but it’s also a challenging one. Getting your head round all the facts, theories and principles can take a lot of time and thought. And fulfilling your potential often takes more than just classroom learning alone. Our GCSE Biology videos give you the tools to master this demanding subject and improve your final grade. Covering the AQA, Edexcel, OCR, CCEA and iGCSE specifications, you can be confident that what you learn will be exactly what you’re tested on in your exam. We’ve worked hard on making our videos accessible and easy to watch – a lot of the time, you’ll forget you’re learning! And we’ve also included hundreds of exam styled end-of-topic questions to help you check and strengthen your knowledge. Download today for free and trial our tutorials before you buy. Con esta app (existe para biolog�a y para otras asignaturas), se pretende dar un repaso en videos al curr�culo del GCSE (Certificado General de Educaci�n Secundaria en el Reino Unido). Los v�deos son buenos, pero s�lo gratuitos los primeros, para el resto se solicita suscripci�n de tiempo por pago.